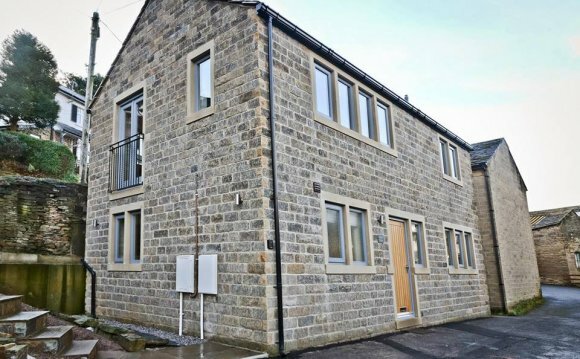 Self-catering holidays in Otley are a great way to see the Yorkshire Dales if you want to be free to do your own thing while also enjoying the comfort and facilities of a hotel. Our three dog friendly, self-catering holiday lodgesare set in picturesque woodland, near Leeds! We have eight Alpine-inspired lodges in total, sleeping two or four people. Each lodge is made from solid logs and has its own private entrance, outdoor patio area, lounge, and en-suite bathroom. Our self-catering lodges sleep four people and have their own modern kitchen making them ideal for a family or couples who prefer to cook for themselves in more spacious accommodation. All the lodges have attractive grass roofs, which are ecologically friendly as they provide natural insulation while attracting butterflies in the summer. The bedrooms are warm and cosy in winter and cool in the summer thanks to their natural woodland location. There is convenient parking outside your lodge plus complimentary Wi-Fi...please note this will sometimes be limited but that’s the price we pay for being in one of the UK’s most beautiful and remote locations! The lodges can be booked for seven nights, arriving on Saturday, or for three and four night mini-breaks, arriving on Friday (Friday – Sunday nights) and Monday (Monday – Thursday nights). Our self catering accommodation is non-smoking.